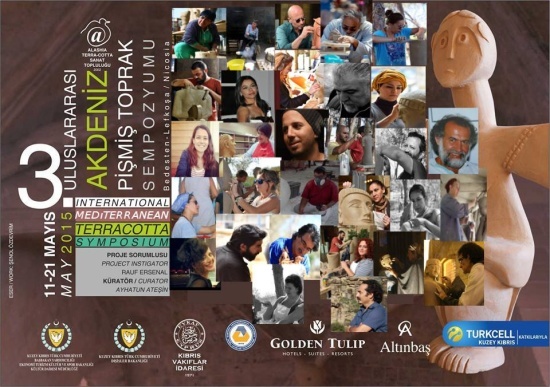 The initiator Rauf Ersenal and curator Ayhatun Atesin are most determined to continue to re-awaken the past, to re-establish the presence of the Agia Eirini terracotta figurines that have been taken to other museums. 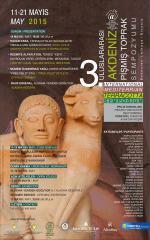 The third symposium is taking place in Nicosia at the lovely site of the Bedesten that will be inspiring the 30 ceramic artists responsible for the rebirth. Find my texts under the following links to give you an idea how it all started. To properly open the event, there will be an exhibition right at the beginning of the symposium to show the participants what has been achieved so far and to historically interested guests what it is all about. 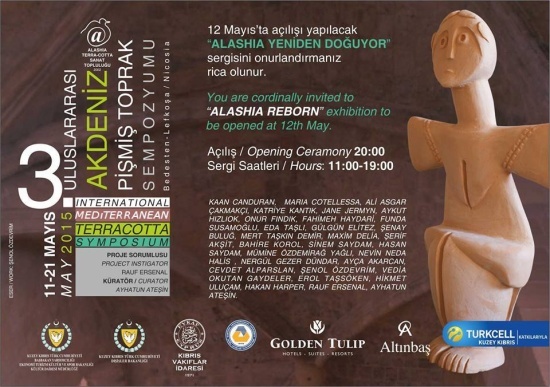 Some artists have already been working on new figurines in their own studios as I was told by Hikmet Ulucam who has participated among other TC artists in the last two events. Some of the figurines are body size or even bigger and the artists work on them the entire duration of the workshop; after that the drying process will take some more weeks before the pieces can be fired in a kiln big enough. It is a sort of historical event we will witness. There will be several lectures and presentations, workshops throughout the symposium which you may find on the posters attached. I will keep you informed on the process of works.